Take the bread slices cut the edges, and soak in water for 2-3 minutes and squeeze out the water. Grind it with rice flour,rava ,curd,ginger,chilly and coriander leaves. Grind the batter will be little thicker, like dosa batter(urad dal dosa). Pour it in bowl add salt and check the consistency. Pour the batter on the pan and spread the batter into round shape. Drizzle little ghee on top and sides and cook both side till brown. Serve hot dosa with chutney. 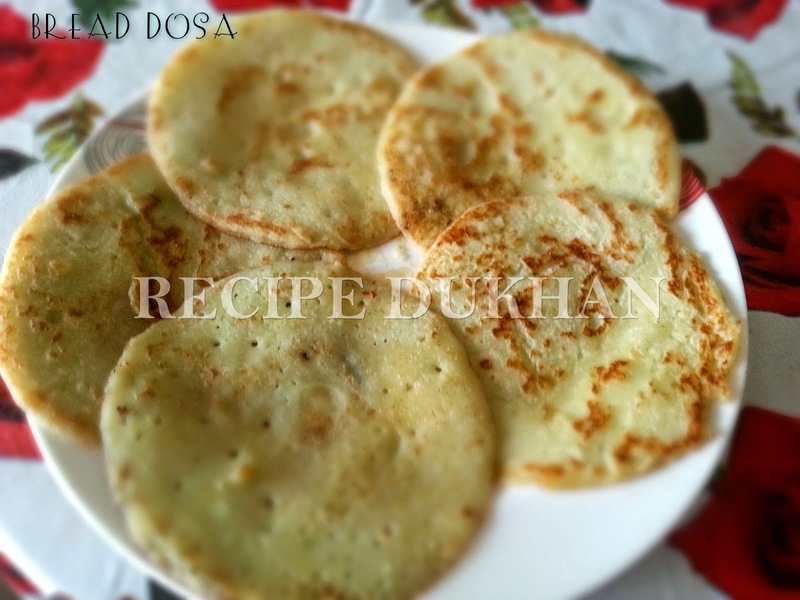 If the dosa is sticking to the pan, you can add rice flour or rava to the batter.